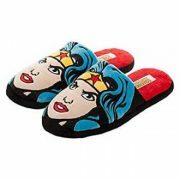 Looking forward to coming back from work only to find out that your slipper does not feel as comfy and cozy as it used to be? 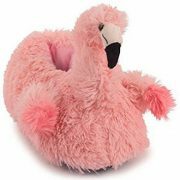 Probably, it´s time to invest in a new pair, but this time you may need to go for a slipper that will last you longer and stay comfy and cozy for as long you need it to be. 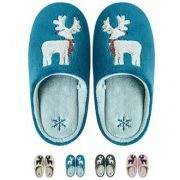 With this in mind, let´s dig deeper into this Acorn men´s moc slipper review and find whether these slippers are really worth your time and money. Important Features at a Glance! 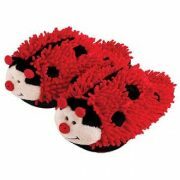 Slip on moccasin slipper with a closed back that stays well on the foot and is easy to slide into. 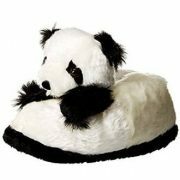 The upper is made of fleece, Berber or faux fur, which feels very soft and cozy. 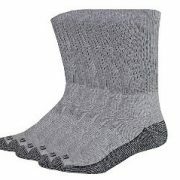 Moisture-wicking cotton blend or fleece Berber lining keeps the feet dry, warm and comfy. Multilayer memory foam insole provides support and comfort that feels like walking in clouds. 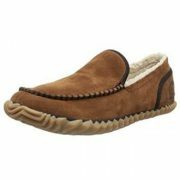 Genuine suede leather sidewall makes this moccasin better protected and more stylish looking. 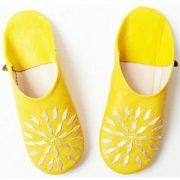 The durable rubber outsole is skid resistant and weatherproof, which makes it great for indoor and outdoor use as well. Available in many handsome designs. 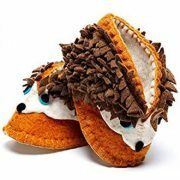 There are many things that users love in this Acorn moc slipper. 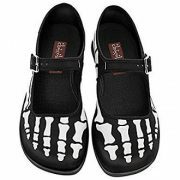 They review that the footbed is soft and very cushy, making the shoe comfy and supportive. The lining is cozy and feels warm without being too hot or sweaty. 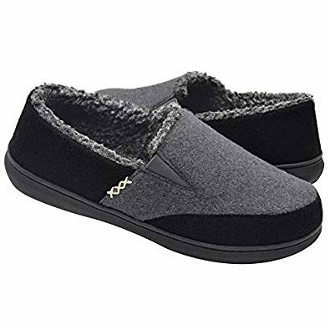 This is a lightweight but sturdy slipper for men that protects their feet on cold tile floors and is also great for occasional trips out to take the mail or walk the dogs. In addition, it fits nicely and runs true to size. 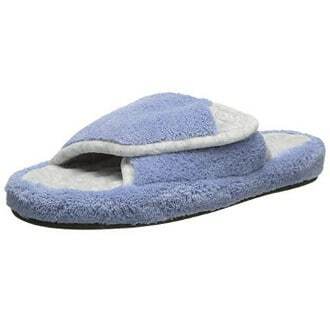 Users really appreciate the fact that this is a durable slipper that in many cases does last for years. The stitching also looks nice and the overall appearance gives the impression of an expensive slipper. 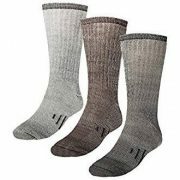 The outsole is durable and protective against damp surfaces. On the inside, the moccasin has an embroidered emblem at the area of the heel, which feels a bit uncomfortable for some users. 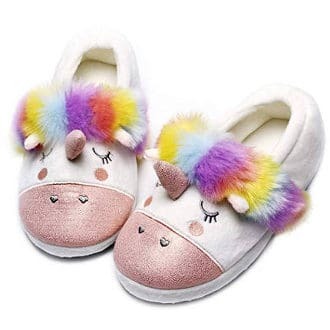 These people have not actually specified whether they have been wearing the slippers without socks on because the absence of socks can surely make a difference to how the emblem feels on the foot. Nevertheless, there were more than just a couple of users who have mentioned this issue as a negative feature. Also, the fabric upper attracts dog hair and lint like a magnet, according to a few people’s feedback. 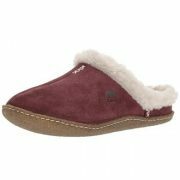 Acorn Men’s Moc Slipper is a good looking comfy slipper that can last you long. 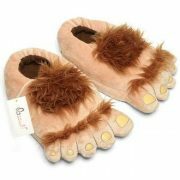 It is warm without making your feet feel too hot and sweaty, and it feels cozy to wear for lounging around the house. It also works well for short trips out. 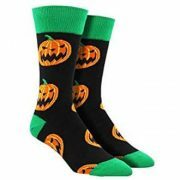 Users’ reviews about this product are very positive in the vast majority, and the main concern that some people seem to have is that the embroidered emblem on the heel feels a bit uncomfortable.